The guy that came out here and did the work was very helpful. He gave me options and communicated to me the value of the different options. I felt very comfortable with him. I was very pleased. They were honest, thorough, and did good work. The price was fair. I couldn't be happier. I think they're great. I've never had a problem. They've always been here when they said they would be here. There, one of the few people I know I can call anytime and ask for is Caesar, and he'll be here. I'm a 20-year customer and I've been having Caesar as my guy for 15 years. The people who answer the phones are lovely. I can't say enough about them. I'm in the public service industry as well, and I can say that this is a good company. I really liked them. They are trustworthy and that is important to me with a contractor. Angelo was the plumber who came out and he did a really good job. 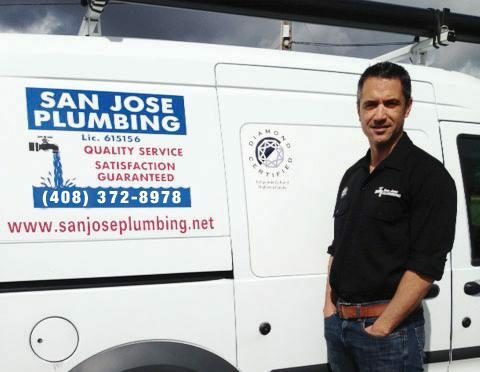 San Jose Plumbing, Inc. has been doing business since 1991. 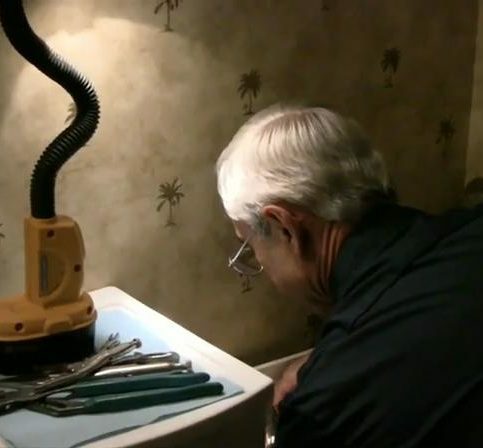 It specializes in service and repair, sewer and drain cleaning, repiping, and remodeling. “No plumbing job is too large or too small,” says owner Kevin Garza. “We’re happy to unclog kitchen sinks or repipe entire homes.” The company handles both residential and commercial projects. 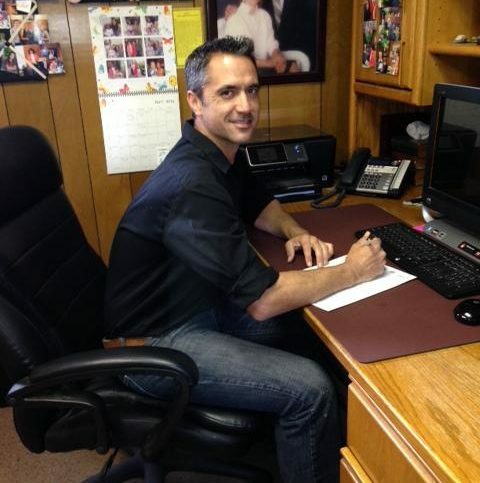 Mr. Garza brings more than 45 years of experience to the family-owned and operated business. His wife, Adrienne, runs the office and handles all administrative work. His son, Adam, joined the company in 1996 to carry on the family legacy. 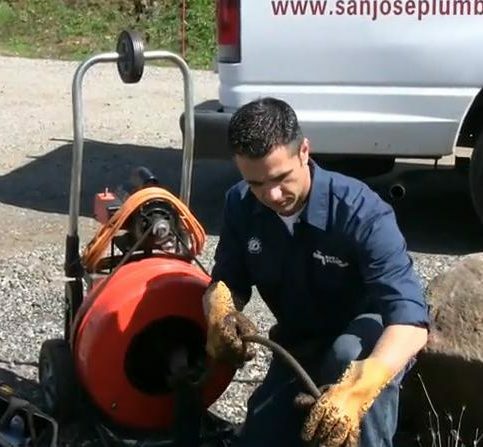 All San Jose Plumbing’s work is backed by guarantees that vary in length according to the type of work performed. The company’s employees are safety-conscious and take great care to leave clients’ homes or business sites clean and orderly. It also helps low-income families and seniors with pricing that fits their budgets. DIAMOND CERTIFIED RESEARCHED CAPABILITIES ON San Jose Plumbing, Inc.
Company Name: San Jose Plumbing, Inc.
DIAMOND CERTIFIED RESEARCHED ARTICLES ON San Jose Plumbing, Inc.
Co-Owner Adam Garza stands next to a San Jose Plumbing service van. 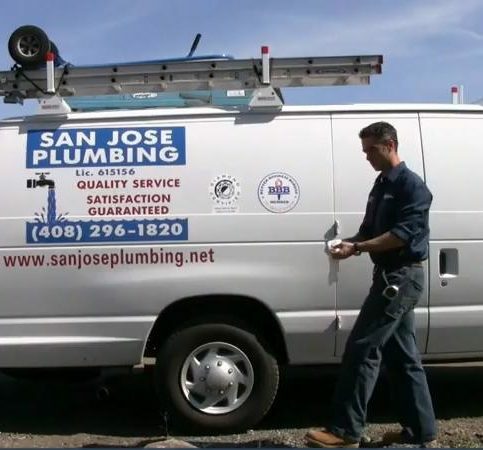 San Jose Plumbing, Inc. is a residential and commercial plumbing service located in Santa Clara County. “We truly stand behind our work,” says co-owner Adrienne Garza. 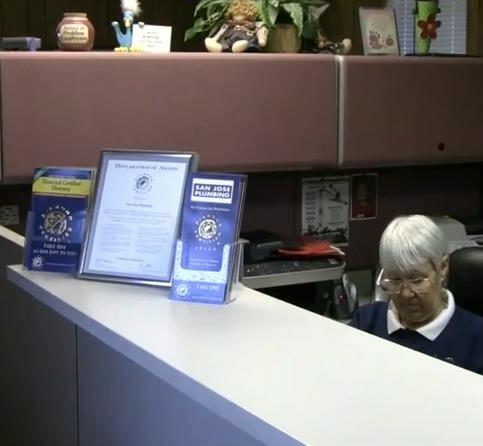 “If we can’t solve a problem for our clients, we won’t charge them and will recommend a solution.” Thirty five years of experience and a professional staff allows San Jose Plumbing to fix almost any problems that arise, she adds. San Jose Plumbing accepts all types of jobs, from clogged sinks and water heater repairs to installing piping in new homes and buildings. “The owners are on the job working right alongside the crew,” says Ms. Garza. “If there’s a question about the job, they’ll assess it and ensure it’s done properly. We believe follow-up service is important to complete any job. “From the very beginning, our number one goal has been to make customers happy,” she continues. “We aim to make lifelong customers and depend on them for referrals.” From the first office call, the company hopes to leave clients with a lasting impression that encourages them to come back. 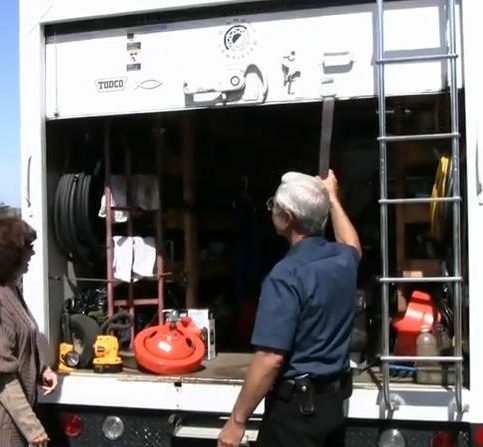 “We like to make them feel like they’re part of the San Jose Plumbing family—that we’re there for them whenever they need us,” says Ms. Garza. 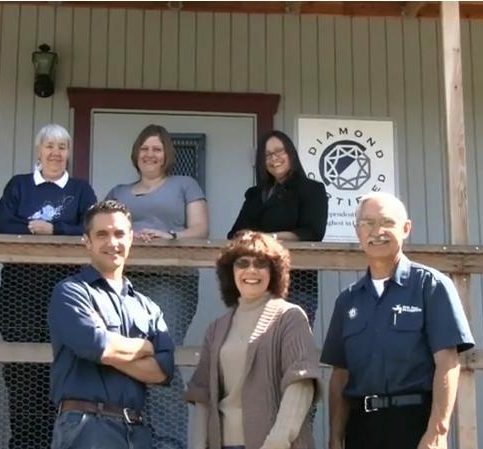 San Jose Plumbing also helps low-income families and seniors with pricing that fits their budget. “We’ll work with customers to find a plan within their means. 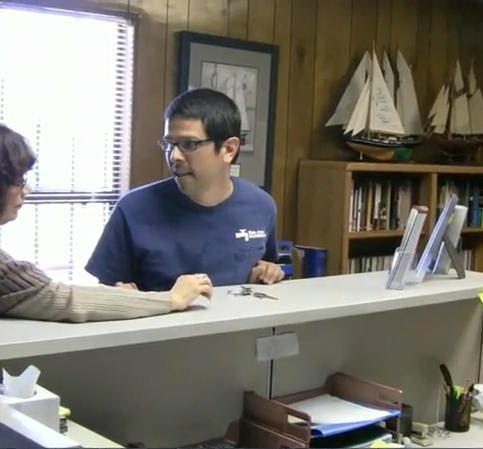 We’d rather work together with a customer than lose them because of pricing,” notes Ms. Garza. It pays to use common sense when choosing a plumbing contractor. Always ask a contractor if they’re licensed, bonded and insured, and verify the information is current. Most are willing to supply a copy of their documentation if requested. The California State License Board’s website is a good source for verification and additional information. “It’s smart to verify these credentials, because there are some individuals in the plumbing industry who are unlicensed,” notes Adrienne Garza, co-owner of San Jose Plumbing, Inc. You should also confirm a physical address and phone number. Request the telephone numbers of a contractor’s current clients. “We happily give references for prospective clients to call and get their input. I think it’s very important to get references,” says Ms. Garza. Another good option is to get a referral from a general contractor who has experience with subcontracting plumbers in the area. They can often be a practical resource for finding a reputable plumber, particularly if the work is part of a larger remodeling project. Get quotes from multiple sources. “Price isn’t always the best indicator for a particular project,” notes Ms. Garza. Professional plumbers generally charge the same rates across the board (except for after-business hours and weekends) to build relationships with customers, rather than to take advantage of a bad situation. Q: How quickly can you get to an emergency job? Q: Can you work on weekends? Will it cost more? Q: Are you licensed and insured for liability? 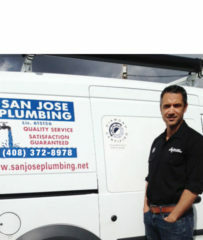 SELECTED PHOTOS FROM San Jose Plumbing, Inc.
Vice President Adam Garza stands next to a San Jose Plumbing service van. Adam Garza is a 23-year veteran of the plumbing industry and owner of San Jose Plumbing, Inc., a Diamond Certified company since 2004. He can be reached at (408) 372-8978 or by email. A: It depends. During the day I listen to KNBR sports talk radio, but in the evening I enjoy music. A: Italy. My wife is Italian and has family there, so I’d like to take a trip to meet them. A: The past. I really love the 1950s and ’60s, especially the muscle cars of that era, so it would be fun to travel back to that time. A: A Mustang Boss 302. Whether in the kitchen or bathroom, leaky faucets are a common source of water waste. In many cases, leaks originate from the faucet’s inner cartridges, which can be difficult to replace if ignored for long periods of time, especially if corrosion has occurred. If the faucet is leaking at the base, it can cause water damage to the wood cabinetry beneath the sink. In addition to the faucet fixture itself, leaks can spring from connections beneath the sink such as water supply lines, the p-trap and (in the case of a kitchen sink) the garbage disposal. To preventatively detect leaks, inspect your faucet and connections every three to six months. Don’t forget to check additional water fixtures like your water purification or instant hot water units. When checking for leaks beneath the sink, use your hands to feel for moisture around plumbing connections, as touch is a much more reliable indicator than visual detection. Of course, if you see any puddles forming under the sink, that’s a dead giveaway of an ongoing leak. When checking for toilet leaks, there are a few key areas to address. Check the water supply line that connects the tank fill valve to the wall shutoff valve. If this isn’t secure, water can leak out each time the toilet is flushed, which can damage the flooring, baseboards and sheetrock. To rule out any leaks, feel around the fill valve connection and then run your hand all the way down the water line to the wall valve. Other areas to check for moisture are around the tank bolts and at the base of the toilet. If left unchecked, a leak around the base (usually caused by a wax seal failure) can cause major damage to the subfloor that may potentially require replacement. There are a few different areas where leaks can occur in a shower, starting with the showerhead itself. Besides being a significant waste of water, a constantly dripping showerhead can gradually damage your shower’s tile and grout. Another place where leaks can be problematic is behind the shower handle, which can result in hidden water damage behind the wall. Most homes have two to four exterior hose bibs around the property. Since they’re located outside, it’s easy for leaks to go unnoticed, which not only wastes water but can also damage your home’s foundation over time. Hose bibs are easy to replace, so if you find any leaks, don’t delay in addressing them. In the event of a catastrophic water leak, your home’s water main shutoff valve can be a lifesaver. That’s why it’s crucial to a) know where your water main is located so you can get to it quickly and b) periodically test it for proper functionality. A shutoff valve can freeze up if it’s not touched for several years, which can be a rude awakening in a dire situation. To avoid this, test your shutoff valve every three to six months by turning it off and on again. SAN JOSE — Host, Sarah Rutan: One of the simplest measures you can take to avoid a costly water bill is to routinely check your plumbing fixtures for leaks. Today we’re in San Jose with Diamond Certified Expert Contributor Adam Garza of San Jose Plumbing to learn more. Diamond Certified Expert Contributor, Adam Garza: Okay, today, just want to give you a few tips on how I can save you money with your water bill, and then also help you prevent any water damage to your home or place of business. So, for example we have the main kitchen faucet here, and we also have the Instahot and Reverse Osmosis system. A lot of times if we these fixtures are leaking from the spout it is very important to adjust those leaks sooner than later. A lot of times the cartridges inside are leaking and causing the issue. If you let them go for too long, those cartridges are very difficult to take out. Due to corrosion, the length of time it’s been leaking. So the sooner you address it the better off you’ll be. Um, we have the Reverse Osmosis system, which a lot of homes and businesses have as well. A lot of times it can been leaking from the spout, even at the base. A lot of times when it’s leaking at the base it can rain down underneath into the cabinet as well, causing water damage underneath – which you definitely want to avoid. And same thing with the Instahot. It can leak behind the handle, rain down back behind here and leak down into the cabinet as well. And then underneath we have a lot going on here. We have a lot of things that should be checked every three to six months. Um, leaks generally start very slowly and very gradually. So the sooner that you address these leaks the better off you’ll be, the less water damage to your cabinet and to the flooring. So what I like to do is get a light so you can see everything pretty clearly, and use your hand, and also feel around. Lot of times a light doesn’t catch all of the moisture that’s building. So yes, you want to feel every single joint, just feeling around, seeing if you feel any moisture. And of course visually see if you have any puddles developing underneath any of these areas. You have your reverse osmosis tank; you just always feel the connections. Just feeling everything, and just being sure everything is okay. You have your garbage disposal. You want to look at the very top, as well as the bottom. Just feeling around, again making sure that you don’t feel any moisture or any wetness. And that’s pretty much it here, so what we can do is head over to the bathroom next. Okay, now we’re looking at toilet, and I just want to give you a few ideas of what to look at. Again to help prevent any water damage in the future. So, what we have here on the toilet inside is your fill valve, and off the fill valve is this water line. And it’s very important that this is secure. If it’s not secure a lot of times when the toilet is flushed, water can spread everywhere, behind the tank, run down and cause water damage to the sub-floor, to your flooring, your baseboard, and the sheetrock. So it’s very important to make sure this is secure. Also, it can possibly leak between the tank and the bowl. So it’s very important to feel the tank bolts, make sure everything is nice and dry. Again, these leaks start very slowly and gradually so it’s very important to address these issues and find them early. Another thing too when the toilet is flushed, it can leak at the very base of the toilet where the wax ring is. It can leak on the side, the front, and the back. And then lastly you can use your hand, just kind of feel around at shut-off valve and the water line. Make sure everything feels nice and dry, and that way you can find leaks ahead of time before they become really bad, and cause any water damage. And now we’re going to go look at the shower. Okay, now we’re looking at the shower valve. And it’s very important to look at the shower valve because it can be leaking from a few different areas. The first area is behind the handle. It’s very important to see if this is leaking, if it is it could make this very difficult to change in the future, and this leak could run inside the wall and cause water damage that you may not even be able to see. It can also cause this to leak as well, the main cartridge that is in there. And so, if this is constantly dripping it can cause damage to your grout, your tile. So it’s very important to address these issues as soon as possible. Also, I’ve seen where in the past when this leaks it gets sprayed back, can cause water damage to your sheetrock and your tile as well. So it’s very important to address these issues as soon as possible to prevent water damage to your home. Okay, next we’re looking at the water main shutoff valve. It’s very important to know exactly where your water main shutoff valve is located in case there is an emergency with your water heater inside the house, or a fixture that’s leaking, or a leak inside a wall. It’s very important that you know exactly where it’s at so you can get to it quickly. And so how this particular shutoff works, it is a gate-valve, so it does turn clockwise, and that’s how you would turn it off. And it is very important that about every three to six months, or so, that you do turn this whether you need to or not. Just to make sure that it’s running nice and freely, just like this. If they’re not touched over a couple years they can freeze up, and then you can’t move it at all and it just sticks. So you don’t want that. So it’s very important to make sure this is always working properly. Then we also have the hose bib, and usually a home will two to four, maybe even up to five-six hose bibs around the property. So you definitely want to check these as well to make sure they are not leaking underneath the handle, or just running through the hose and just wasting water. These are very easy to change out and replace. So you definitely want to address those issues as quickly as possible to save you money and make sure that you don’t cause any water damage to your foundation if water is leaking out of the hose and constantly running. So, always know where your water main shutoff valve is, and you’ll be in good shape. Diamond Certified RATINGS ON San Jose Plumbing, Inc.
San Jose Plumbing, Inc. : Average 9.4 out of 10 based on 423 unique customer surveys of customer satisfaction. That they are great, I have used them for years on all my rental properties. Kevin's very high ethics. He always tries to do the right thing for the customer. They are loyal and very detail oriented. Detail and loyalty, you can't get that these days. The very most wonderful thing is that a human answers the phone. You cannot do better. They also do a great job. The fact that they answer the phone, I called on a Sunday around Christmas time and a lovely lady answered the phone. They are very reliable, they come on time and have fair rates. They were very quick at getting to the problem I had that I wasn't able to fix. He got here pretty fast and did what he said he was going to do. They are really trustworthy. I always book Kevin. I get worried because I know some day Kevin will retire. He strikes me as a really honest guy. He responds fast and thorough. He checks other stuff while he is out. He doesn't just come out and fix the toilet and leave. He is proactive. I would definitely recommend. They were punctual and solved a problem others didn't want to deal with. Kevin is very knowledgeable and he is excellent in his work. The knowledge and the professionalism, he is timely. I do recommend them. They have always gotten the job done. I have had other plumbers that I have been unsatisfied with, so I went back to San Jose Plumbing. I have been using them for over 25 years. They always get the job done and they are friendly. They are almost like family. I have a son that is around the same age but doesn't live close enough. They were very helpful and willing to go the extra mile. The gentleman that came out was extremely knowledgeable and friendly. They are a good reliable plumbing firm. They arrive on time and get the job done. They are a good company. I have used for many years. Their responsiveness, the customer service reps are very friendly. They are professional and get the job done. They are very conscientious about not leaving things behind. They were fine. It all worked out fine. They were quick and on time. One thing that impressed me was, I received a follow-up call the next day. They asked how everything went and how the gentleman was. I liked that. They fixed what needed to be fixed. They have done very good work, they showed up on time and finished when they said they would. They are very thorough, thoughtful and they didn't rush. Those things I mentioned and I always feel like I get more than expected with them. If you need a very reliable professional plumber, call them. My wife and I have been using them for over 20 years. We always deal with Adam Garza, they are outstanding. Whenever we have had a problem, Adam figures it out. They have good competitive pricing. We have never had to call them back.